It’s the first Labor Day when I have been working a day job in quite a few years. Well, I did work at a museum. But it wasn’t quite the same. I king of set my own hours, and I was so passionate about what I did, I almost would have done it for free. I’ve been a freelancer and a copy writer for a while now. What I do now really isn’t that much different, I just have an office to go to, co-workers, and real, solid goals. It’s not bad, but when Labor Day comes around, I sometimes wish we had a union. But wait, we do. The National Writers Union is a thing. And a good thing. They have been around since 1981, and represent freelance and contract writers: journalists, book and short fiction authors, business and technical writers, web content providers, and poets. They are voting members of the UAW. Their most famous victory was probably the 2001 case Tasini v. Times, in which the United States Supreme Court in a decisive 7–2 ruling affirmed the copyright privileges of freelance writers whose works were originally published in periodicals and then licensed by the publishers to electronic databases without explicit permission of, or compensation to, the writers. But with bloggers, guest bloggers, and content creators looking for exposure, it’s harder and harder to get paid, except for high end sites who are looking for better reporting and solid content. Thousands of blogs provide either mediocre content or worse, sometimes not well researched at all, but mere filler. So what do we do as authors? The constantly evolving industry calls for one thing: Unity. There are several organizations besides NWU, some with very specific causes. But for those of us who write for a living, or who want to, and who want to leave behind us a world where authors and freelance writers will still have that ability, perhaps a new paradigm is needed. It’s not a bad idea, and Labor Day might just be the day to start a discussion. What do you think? Is unity important for writers of all types? Let me know your thoughts. PreviousAre E-Books Being Properly Preserved? If one rights, then the union should take everyone. 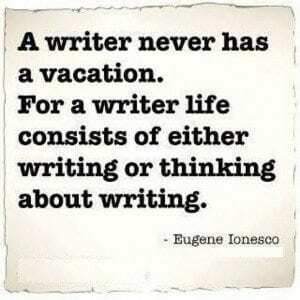 Writing can’t be pigeon holed into what pays and what doesn’t. True. The purpose of the union is not only for pay, although that is paramount, but for rights such as coppyright, and the reuse of content digitally. There are many aspects to it, and that is the challenge in unity.